I was sent What to Bake and How to Bake It to review and I was really looking forward to having a flick through the pages to see what to bake. I knew it would be a fab book from the quick look I initially had but I wasn’t quite expecting it to be such the joy that it was. The quirky cover makes it stand out amongst the other books on my shelves and I liked the colours and illustrations. There are two key things I noticed about the book which I love: firstly, Jane provides pictures right at the start showing you exactly what butter and sugar look like when perfectly creamed (and if they’re over beaten) amongst other techniques, secondly, she doesn’t assume you have a microwave. I don’t have a microwave and it’s amazing how many cookery books assume you have one (I think I’m in the minority but still!). The book is published by Phaidon and they kindly said I could publish one of the recipes so I tried my hand at the Buttermilk Pound Cake. Grease a 23 x 12 loaf tin and line with baking paper. Preheat an oven to 180C. Beat the sugar and butter together until very creamy and pale. (I’m always surprised how long it takes to do this but I think it’s because my butter is never warm enough!). Mix the eggs together well then beat into the butter mix a little at a time. Beat in the vanilla. Stir together the flour, baking powder, bicarbonate of soda and salt then fold half of it into the egg and butter mixture. Fold in the buttermilk then fold in the remaining flour to make a smooth, thick batter. Scrape the batter into the tin then bake for 30 minutes then turn the oven down to 160C and bake for a further 20-25 minutes. 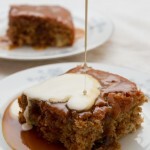 Check the cake is cooked by inserting a skewer into the middle, it should come out clean. Remove from the oven and leave to cool before removing from the tin and leaving to cool completely on a wire rack. I was pretty pleased with how my cake came out, it even cracked along the top like it’s supposed to! Every recipe is accompanied by step by step photos and instructions which make the book easy to use and follow. There’s a huge mix of recipes; fudgy cheesecake brownies, celebration cakes and breads and they all seem achievable next to Jane’s words of wisdom! 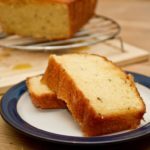 The Buttermilk Pound Cake I made had a fantastic vanilla flavour with a very slight sourness and the texture was great too. I know I’ll be baking again from the book after this success! 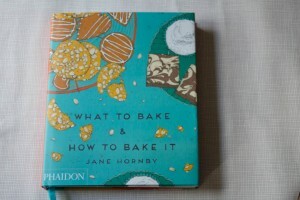 What To Bake and How To Bake It is written by Jane Hornby and is published by Phaidon. Available in Hardback for £19.95. Thank you to Phaidon for the book and for allowing me to publish the recipe. All opinions and words expressed are my own. Before, when I bake, I used to get all worked up my cakes crack. But now, I’ve have accepted it. And after seeing the nice cake you baked, recipe from a book, I am more convinced. Gonna try this recipe too. That is a great looking book. And the pound cake looks spectacular — love the texture on the top. Good post — thanks. 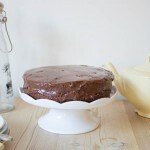 That cake looks really lovely – the crack in the top makes it look so perfect! I don’t have any baking books – I just realized this! Thanks for sharing your review! 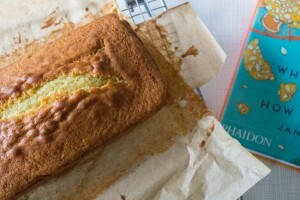 A beautiful pound cake and lovely book!